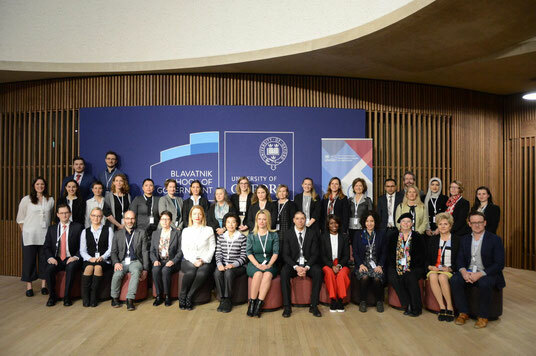 In April 2019 three members of the ICRN crew joined the evaluation workshop of the E4J teaching modules at the Blavatnik School of Government in Oxford. Since March 2017 the ICR Network established a partnership with UNODC Education for Justice Initiative. The E4J initiative - under the Global Programme for the Implementation of the Doha Declaration - has been developed to create and disseminate education materials in UNODC mandated areas of crime prevention and criminal justice across the primary, secondary and tertiary education levels. Online tools and academic resources will be made available free of charge, while workshops, conferences and symposia will be organized for teachers and academics to learn and exchange ideas and research. The university level component of E4J looks to support academics to teach in the fields of UNODC-mandated areas covering organized crime, corruption, terrorism prevention, cybercrime, criminal justice, trafficking of firearms, trafficking in persons and the smuggling of migrants, as well as on integrity and ethics. Oksana Huss and Nils Köbis thank Matthew Stephenson and Ronan O'Laire, for the invitatin to the round table discussion @UNODC Vienna and the other members for the two inspiring days!